In the Ribbon, click Relationships. In the Ribbon, click Show Table. 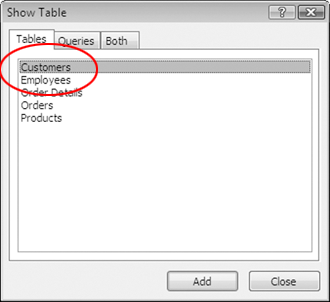 When the Show Table window appears, double-click Customers.